Posted under Health Guides. Updated 3 April 2019. Grains are an important source of carbohydrates. Whole grains contain nutrients from all parts of the grain. Grains provide vitamins, minerals, fiber, and energy to your brain and muscles. 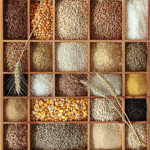 Foods such as wheat, rice, oats, cornmeal, barley, quinoa or products made from these foods are considered grains. Grains are high in carbohydrates which provide energy to your brain and muscles. Not all grains are created equally in terms of nutritional benefits. The health benefits of a grain depend on the form of the grain you actually eat. There are two types of grains: whole grains and refined grains. When you eat a whole grain, your body is getting nutrients found in all parts of the grain, as well as fiber. 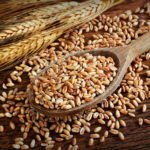 Whole grain foods include oatmeal, brown rice, quinoa, and whole wheat bread or pasta. Refined grains have been processed and are missing some nutrients. Refined grain foods include white bread, white rice, and many kinds of pasta. When you eat grains, try having whole grains as much as possible. There are two types of grains: whole grains and refined grains. When you eat a whole grain, your body is getting nutrients found in all parts of the grain. Whole grain foods include oatmeal, brown rice, and whole wheat bread. Refined grains have been processed and are missing some nutrients. Refined grain foods include white bread, white rice, and many kinds of pasta. When you eat grains, try having whole grains as much as possible. What are some grains I can eat? There are many different types of great tasting and good for you grains. Add variety to your diet by trying some of the grains listed below. These grains can be added to stews and soups, served as a side dish, or eaten as a hot cereal. Amaranth is a whole grain that looks like tiny yellow seeds. You can use it to make hot cereal or add it to a whole-grain baked good for extra crunch and fiber. Barley is a large, brown grain. You can find it in stores sold either as “pearled” or “hulled” (also called hulless). Hulled barley is a whole grain and has more vitamins, minerals, and fiber. Pearled barley is not a whole grain, because it is processed. However, it is still a healthier option compared to other types of refined, processed grains because it still contains fiber. Barley can be added to soups, stews, hot cereals, and casseroles. You can also try adding barley to salads or stuffing. Buckwheat is a reddish-brown plant seed, which can be eaten whole, cracked (broken), hulled (processed), or toasted. Kasha is made from buckwheat and can be used in pilafs, burgers, or in casseroles. Bulgur is a made from whole wheat kernels. It is found in many Middle Eastern dishes, such as tabbouleh. Because it cooks quickly, it is a great grain for people new to whole grain cooking. Corn is a grain that grows on a cob with the kernels enclosed in a leafy husk. Corn can be eaten whole or ground into cornmeal, which can be made into foods such as bread or tortillas. Corn is a whole grain (unless the label says “degerminated”). Many people are surprised to learn that popcorn is a whole grain. Farro is a small, yellow, and bead-like whole grain. Millet has a mild, nutty flavor and can be eaten in salads, pilafs, or mixed with pasta. 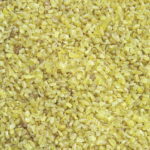 Millet is a small, yellow, and bead-like whole grain. Millet has a mild, nutty flavor and can be eaten in salads, pilafs, or mixed with pasta. Quinoa (pronounced keen-wa) is a small, disk-shaped seed either yellow or red in color with a light flavor and texture. Quinoa is a great source of protein and can be cooked and used in salads, soups, stews, and pilafs. Rice comes in many different varieties and is popular world-wide. Brown rice is a whole grain and contains more vitamins, minerals, and fiber than white rice, which has the outer part removed. When cooked, long-grain rice is fluffier while short-grain rice is stickier. Teff is a very small brown grain the size of a poppy seed which is native to Africa. It has a somewhat nutty mild flavor and is high in minerals such as iron. Wheat is a commonly eaten grain that comes is different forms. Whole wheat kernels (such as bulgur and wheat berries) can be eaten on their own as a side dish or in a salad. Look for versions of these products that contain “whole wheat”. How do I cook grains? Often grains are made into food items you use every day such as bread and pasta. You can also cook the grains listed above and eat them on their own. Some require that you rinse them in cold water and then drain prior to cooking. Most grains are cooked by putting ~2 cups of cold water in a pot and bringing to a boil, then adding ~1 cup rinsed grains to the boiling water and covering the pot. Then turn the heat down so the water is boiling lightly, also known as “simmering.” Once there is no water left and grains are slightly chewy, you are done! With this method it is important not to stir or uncover the pot while the grains are cooking. Be sure to follow the directions on the package for whichever grain you are cooking, because different grains will have different cooking times. Rinse grains prior to cooking to remove any dirt or debris. Whole grains take longer to cook than refined grains. For example, brown rice takes about 45 minutes to cook, but white rice only takes about 20 minutes. However, the nutrition benefit is worth the extra time! Add onions. Stir onions and cook until soft. Add carrots and garlic and cook for 5 minutes. Add mushrooms and cook for 10 more minutes. Add garbanzo beans and cook for 1 minute. Add egg and stir until the egg is cooked. Remove from heat and add parsley or cilantro, pepper, and cooked brown rice. Add soy sauce, if desired, and serve. Place bulgur in bowl and cover with 2 cups boiling water. Soak for 30 minutes. Then drain and squeeze out excess water. In a mixing bowl, combine the bulgur, tomatoes, cucumbers, onions, garlic, parsley, mint, salt, lemon juice, and olive oil. Mix and refrigerate for at least 4 hours before serving.